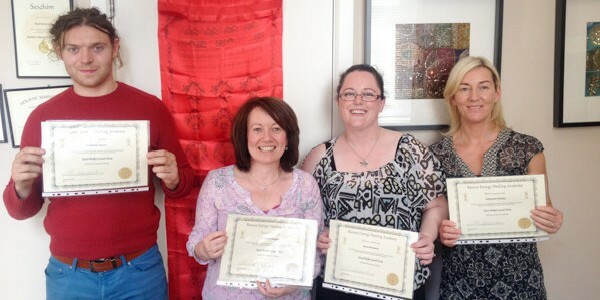 Anyone can learn to channel Reiki and generally those who can express their compassion easily are drawn to train in Reiki. Whether you are already working in a caring capacity such as a nurse, carer, teacher or those in the holistic or beauty industry who love the interaction with people and making them feel good about themselves, it does not matter as long as you feel ready to take some of your own power back. You could be a caring mother or father or those who has always wanted to help people or a person who has experienced ill health and wants the tools to help themselves. 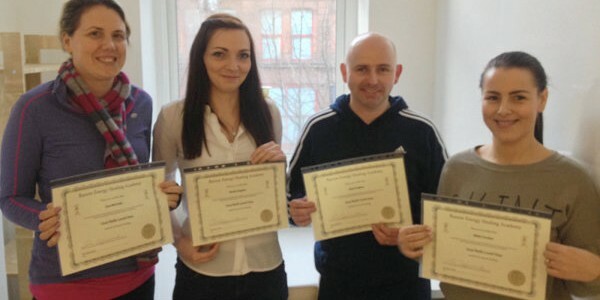 There are a range of people who would be drawn to Reiki and in Belfast, Northern Ireland and Ireland as a whole, we tend to be natural caring people with empathy as we have gone through so much ourselves. 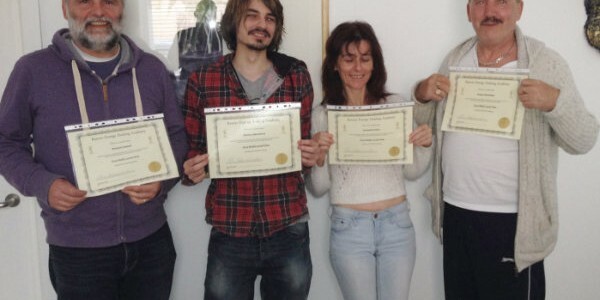 Reiki level 1, is for beginners who will be attuned to the Reiki energy for the first time and shown the different hand positions for a Reiki treatment for family, friends and pets. Reiki level 2 (practitioner level) expands on this with power symbols for use in healing and how to send healing over a distance (to someone in a different location). We practice one to one communication. We also look at ways of starting your own practice. 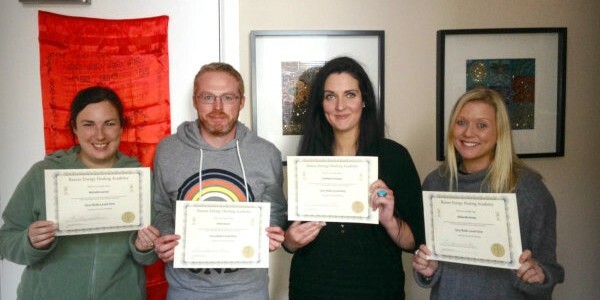 Reiki master level raises your vibration further with more empowerment symbols. Reiki master teacher level, you will learn how to pass attunements and teach others, plus how to prepare and facilitate workshops. During each class, there is ample time given for plenty of hands-on practice so that you feel comfortable running the energy and transferring it to others. At the end of each workshop, you will receive a certificate of completion a comprehensive manual and full support throughout. 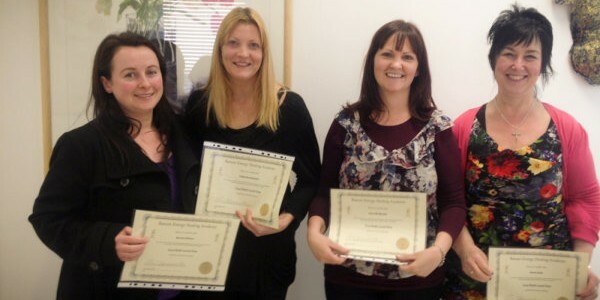 Why Razure Energy Healing Academy? At Razure Energy Healing Academy we offer empowerment of the self, for those seeking the information on the website in knowledge sharing, research on health and energy, and through the training that we offer. Reiki workshops are always kept small with maximum numbers being 6 people per class, in order for questions to be answered giving everyone the time they need for feedback. 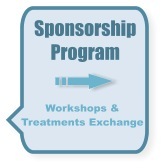 We have set up a sponsorship and outreach program, which you can apply to be involved, that enables you to train and learn Reiki for an exchange for hosting the workshops in your area. Paul Devenney is a certified Reiki & Seichim Master Teacher, spiritual healing and Shamanic Practitioner who is passionate about sharing knowledge and assisting in people empowering themselves. He has always wanted to help people in a healing capacity since his own family went through so much over the years and went through a lot himself. Having being attuned to Reiki Paul went on to be initiated into the Seichim energy and he also practices Spiritual healing. He is on the board of directors and company secretary of a local charity and a previous committee member of a spiritualist organisation. Through tuition and study of all things metaphysical and spiritual he has found his own truth about certain things and is always on the search to find out more to pass on and share. Passing this information on through writing, speaking and teaching is his passion and calling.